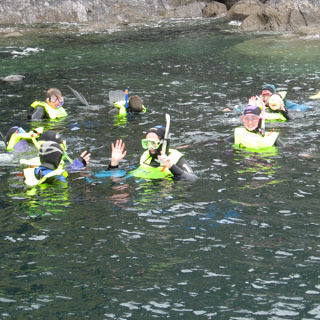 Enjoying a half day snorkelling - an ideal family outing. You are renting the equipment which includes mask, fins, snorkel, suit, boots, snorkel vest, gloves and hood. The centre will provide you with a map to help you navigage where to go (this is planned with you - bearing in mind wind, tide and weather). 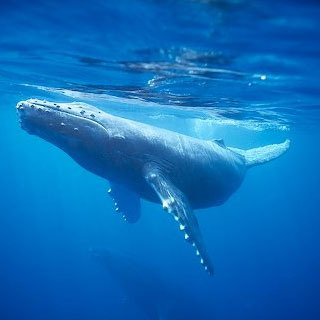 Prerequisites for this experience are swimming ability, and a min age for children of 6 yrs. The snorkelling itself is not strenuous and very safe without any guiding or instructing. This voucher is valid for 2 adults and 2 children. Aquaventures is located in Baltimore, West Cork. Aquaventures operates all year round. Advance booking on AllGifts.ie is required. Aquaventures in Baltimore, West Cork offers something for everyone from scuba diving to bird and sea mammal watching. In addition, over-night packages are available with accommodation in the renowned Stone House B&B which offers bedrooms and private bathrooms. Activities range from diving (for qualified experienced divers) to snorkelling equipment rental (going independantly), from bird watching to large marine life watching such as whales, dolphins, basking sharks and seals AND sunset tours to the Fastnet Lighthouse. Whether you consider yourself a water baby and want to get up close or if you prefer to admire from a distance, Aquaventures can provide you with an unforgettable experience. Aquaventures gives you a good chance of spotting marine life such as seals, dolphins, harbour porpoises & minke whales (year-round), basking sharks (end of May/early June), sunfish and the very occasional leatherback turtle (June to September), and fin whales & humpbacks (mid October to late November). How it Works: Use this gift voucher on AllGifts.ie to make a booking with Aquaventures.